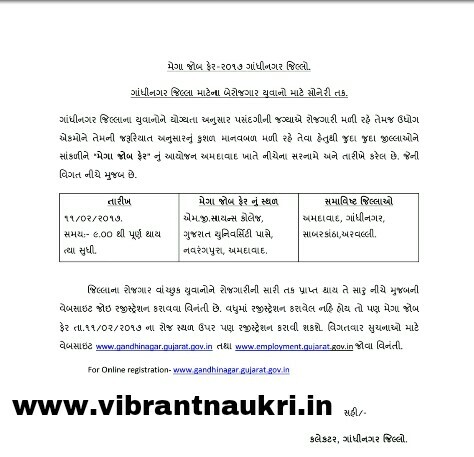 Assistant Director (employment) -Ahmedabad, District Employment Office- Sabarkantha, Aravali (National Career Service, Directorate of Employment & Training, Govt. of Gujarat) and Model Career Center - Gandhinagar joint organise a Mega Job Fair - 2017. More information please read below mention details carefully. Districts : Ahmedabad, Gandhinagar, Sabarkanth Aravalli. 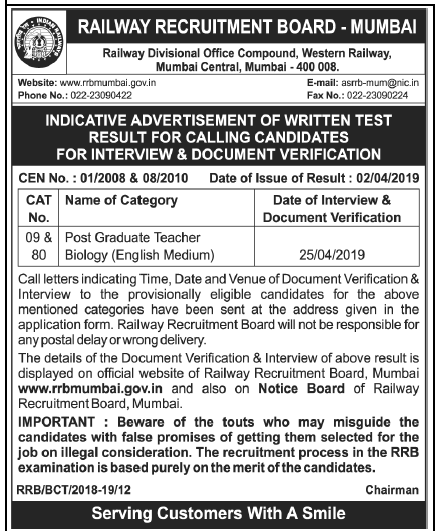 Qualification : Please read Official Notification Qualification Carfully. Registration Time : 09:00 a.m.